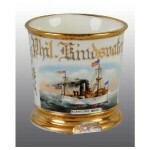 Military Drummer’s Occupational Shaving Mug, porcelain with polychrome painted military drummer with uniform, likely from Civil War or Indian Wars, with gilt bordering the scene. 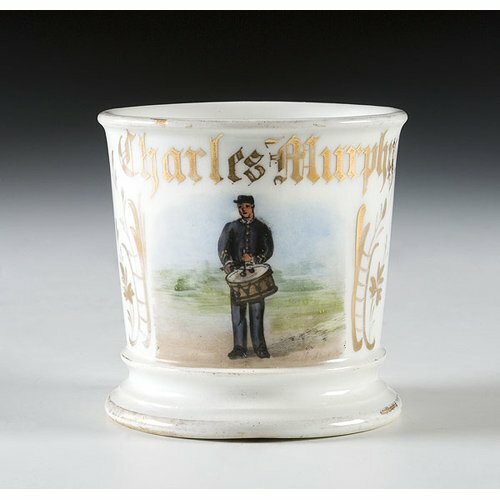 Gilt name Charles Murphy. Marked T & V Limoges, France.